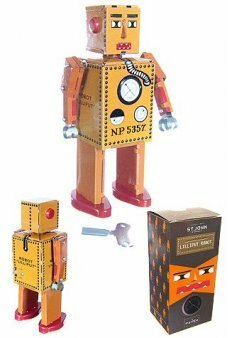 Our Limited Edition R-35 Robot is a nice reproduction of the famous Japanese original. 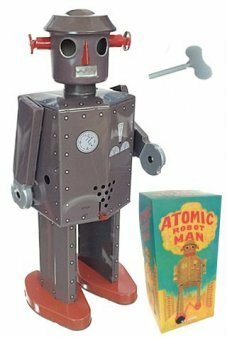 Wind him up and he walks with pin..
Our largest windup tin toy robot - the Giant Grey Atomic Robot Man! 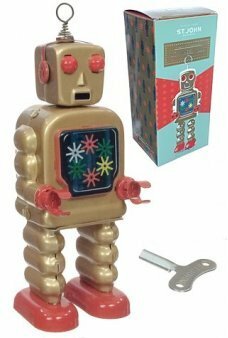 This very special Atomic Robot Man walks, turn..
Our golden High Wheel Robot is a Special Edition of the famous tin toy robot! 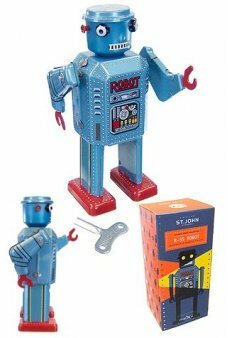 This high quality robot stands with .. 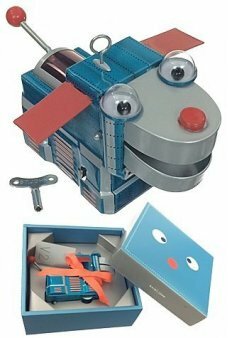 The Giant Space Robot M-65 has come to save our planet with a jet pack on his back! 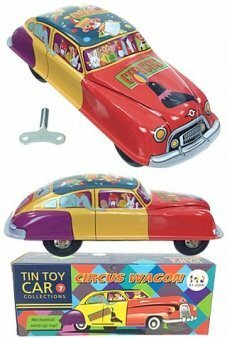 M-65 is our largest windup tin..
Our adorable Acrobatic Bear Airplane spins its propeller and rolls into action. 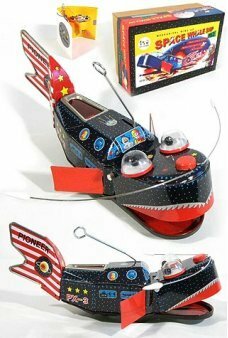 Featuring the happy flying bear, the pla.. 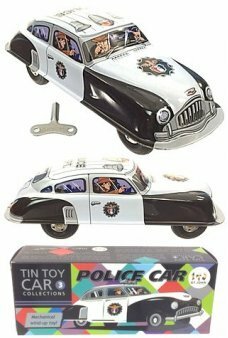 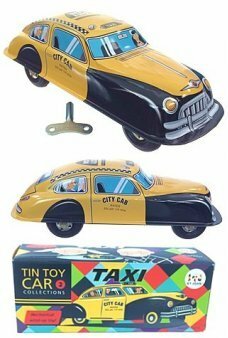 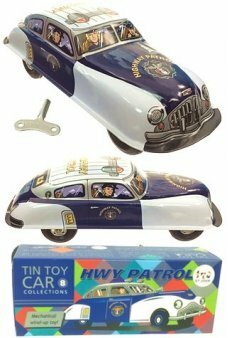 The Speedway Racer is classic old time tin toy wind-up race car. 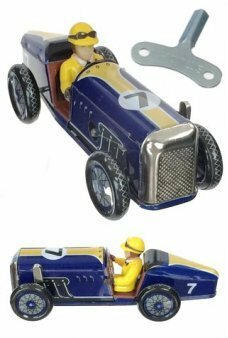 Purple Racer Number 7 quickly speeds ahead on his.. 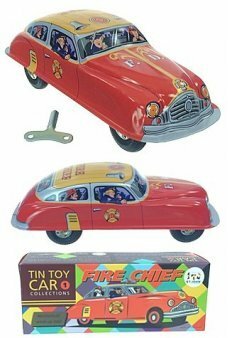 The Speedway Racer is classic old time tin toy wind-up race car. 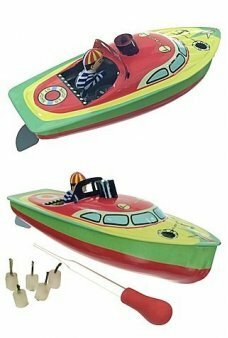 Green Racer Number 3 quickly speeds ahead on his .. 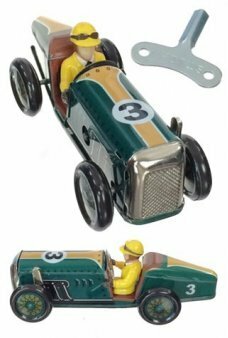 The Speedway Racer is classic old time wind-up race car. 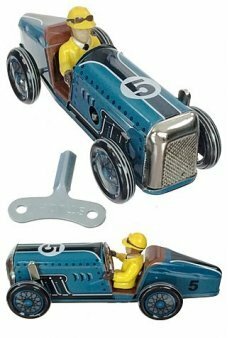 Blue Racer Number 5 quickly speeds ahead when you wind hi..
Our cute Ladybird Beetle is the classic windup tin toy insect. 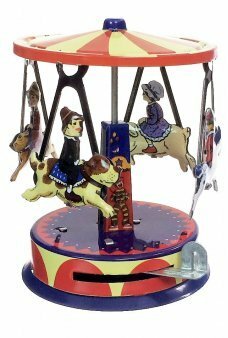 Just wind up the large polka-dotted red bug and she..
Our adorable Animal Carousel ride features a pig, a rabbit, a dog and a horse with their happy passengers. 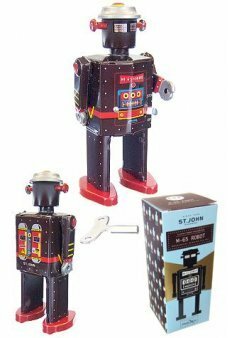 This classic ..
Our black Planet Robot is a Special Edition of the famous tin toy robot! 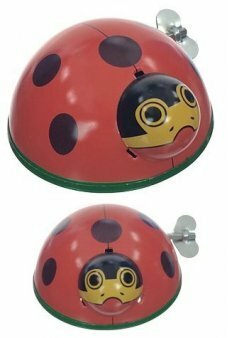 Planet Robot has a classic domed head wi..